Last Tuesday the Spanish health authorities believe swine flu epidemic will reach its peak in late November before it starts to decline. Health authorities believe “the peak” will be “in the last days of November,” Health Minister Trinidad Jimenez told reporters. But she admitted that it was “difficult to predict” how the epidemic would develop. Spain announced that swine flu vaccinations would begin on 16th November, later than in many other European countries, including the UK. The groups that will be given priority are pregnant women, health workers, members of the security forces and the fire and prison services, and those in high-risk groups, including those with heart conditions and respiratory diseases. 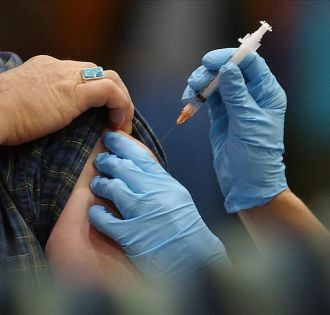 The government plans to have enough stocks of the A(H1N1) flu vaccine to inoculate 60 percent of the population. More than 5,700 people have died of swine flu worldwide since the virus was first uncovered in April, with most of the deaths recorded in the Americas, according to the World Health Organisation. At least 63 of the deaths have been in Spain, according the latest toll by the health ministry, issued October 22. Spain was the first European country to confirm a case of the virus.